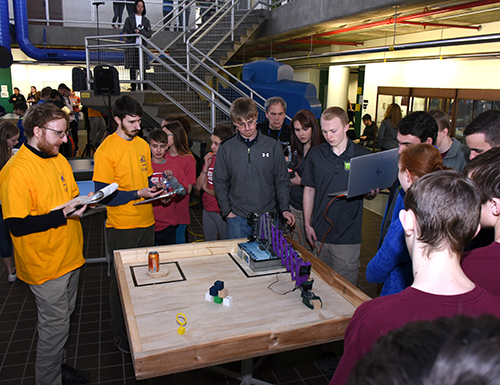 The New Visions team received 27 points, being narrowly bested by overall winner Whitney Point, which received 30 points. 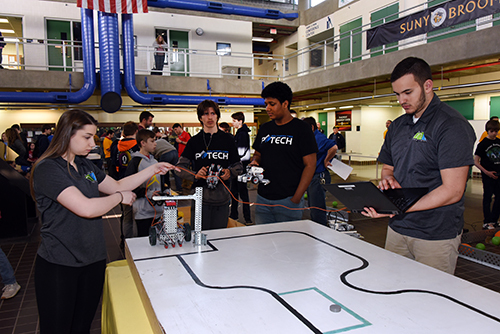 BOCES’ P-TECH team came in third with 24 points. 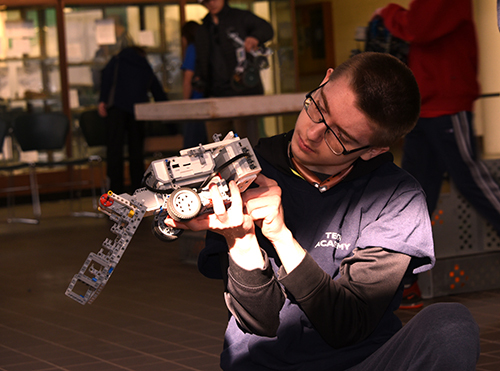 Approximately 120 students from 12 area districts competed in the annual event. 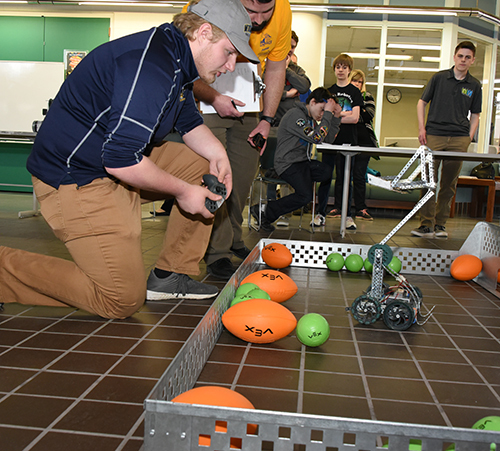 The students designed, built and programmed their robots to perform specific challenges, including the maze, forklift, autonomous and line-following competitions.